Order will be executed on PC platform. Order will be executed on PS4 platform. When you select this option, you will receive a choice of 2 types of weapons IKELOS. 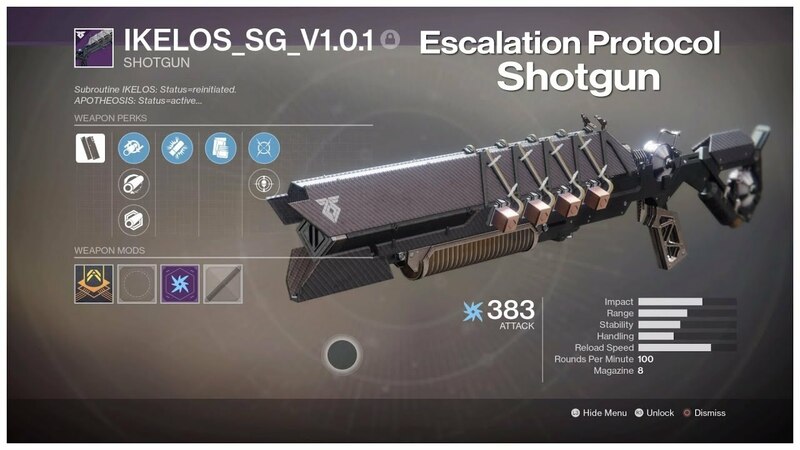 When you select this option, you will receive a choice of 3 types of weapons IKELOS. 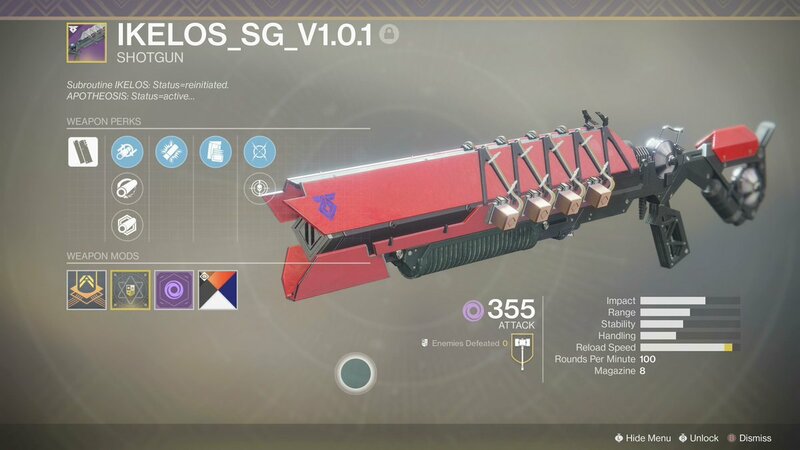 Fulfillment of all conditions for obtaining one of the selected weapons IKELOS. 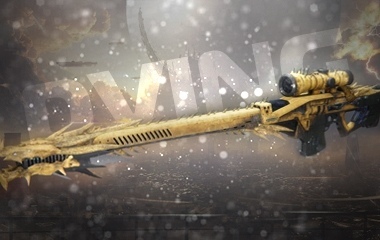 Rapid-Fire Frame: Fires full auto with deeper ammo reserves. Faster reload when weapon is empty. 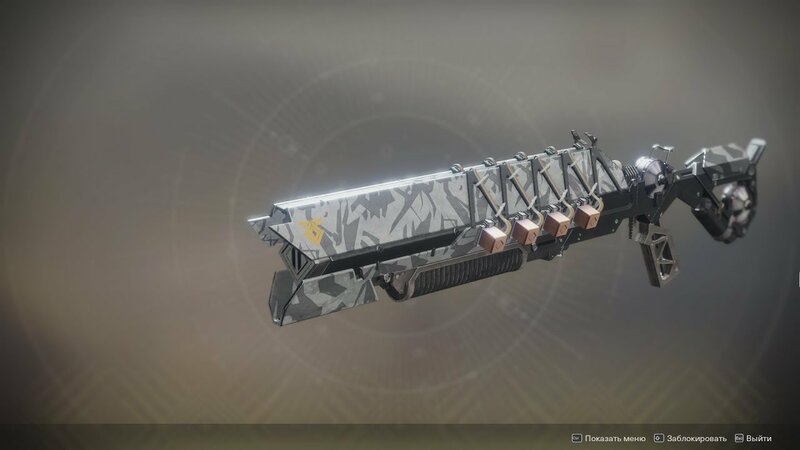 Rifled Barrel: Ranged shotgun barrel. • Increases range • Greatly decreases handling speed. Hammer-Forged Rifling: Durable ranged barrel. • Increases range. Polygonal Rifling: Barrel optimized for recoil reduction. • Increases stability. 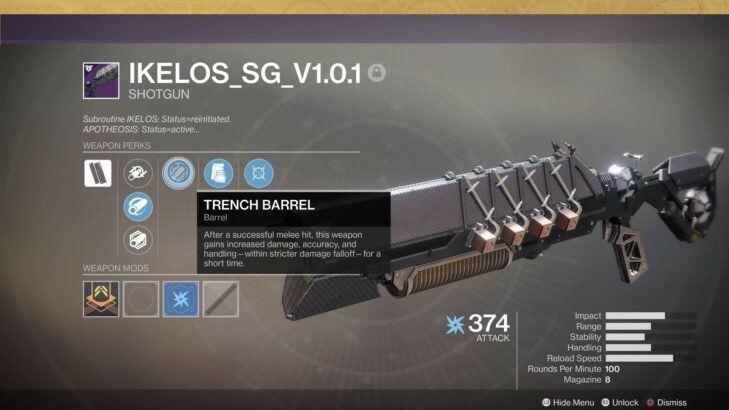 Trench Barrel: After a successful melee hit, this weapon gains increased damage, handling, and reload speed for a short duration—or until three shots are fired. 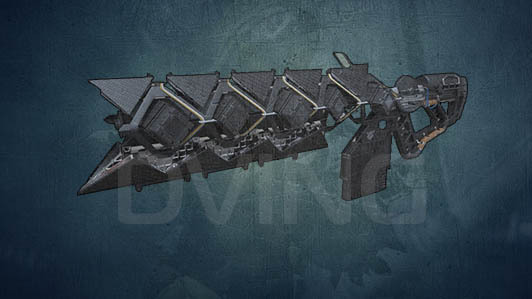 Rapid-Fire Frame: Deeper ammo reserves. Slightly faster reload when magazine is empty. Seraph Rounds: Rounds overpenetrate targets and bounce off hard surfaces. Aggressive Frame: High damage, high recoil. Deals bonus damage at close range. Disruption Break: Breaking an enemy's shield with this weapon makes them more vulnerable to Kinetic damage for a brief period. Full passing of "Last Wish" raid.